Finally! 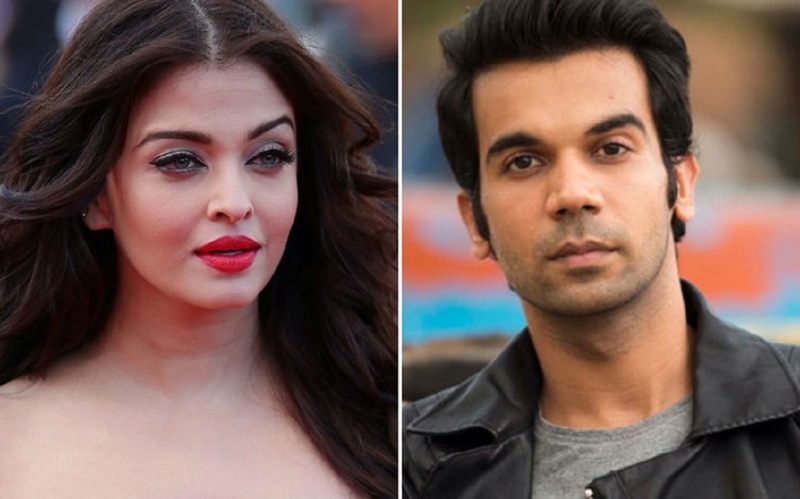 Aishwarya Rai to Play Rajkummar Rao's Muse in Fanney Khan! Rajkummar Rao is still celebrating the praises he has received recently for his superb guise in Ashwiny Iyer Tiwari’s Bareilly Ki Barfi and he already has another reason to cheer! Rao celebrates his birthday today and in comes the confirmation news that his next, Rakeysh Omprakash Mehra’s Fanney Khan, features Aishwarya Rai Bachchan as his love interest. The actor is super excited as he shares screen space with two legends from the industry for the first time ever. He's currently in Poland where he is filming Hansal Mehta’s biographical series, Bose. The actor recently and expressed his happiness on learning that he has landed the role late on Tuesday by producer Prernaa Arora, KriArj Entertainment, who he has been wanting to collaborate with for a long time. He further said, “We’re friends and have been discussing films for a while." Rao met Ash at the recent Melbourne International Film Festival for the first time. He was awarded the Best Actor for Trapped at the event. In his own words, he was all praises for Aishwarya and enthusiastic about the film. He said, “She’s the most beautiful woman in the world. It’s a great story, there’s a lot of love, and the content is not just entertaining but is detailed and different. There will be lots of workshops and readings once I am back." Fannay Khan is a musical venture directed by Atul Manjrekar and has Anil Kapoor in the lead role.